The online catalog management system (Acalog™) contains a number of features to assist you with smooth navigation and use. These features include advanced search options, a personal portfolio to store favorite programs and courses, print-friendly pages and easy access to previously published catalogs. Advanced Search - this feature allows users to locate items by course prefix, course number, exact phrase match, or descriptive information. My Portfolio - this feature allows users to save favorite programs and courses in a personal space while browsing. Additionally, an account can be easily created to store such information for later reference. Archived Catalogs - catalogs from previous years are easily accessible via the drop down menu located at the top right portion of each catalog page. Print-friendly Pages - each catalog page contains a print icon located at the top right portion of the page which makes printing selections easy and efficient. Florida SouthWestern State College is accredited by the Southern Association of Colleges and Schools Commission on Colleges to award associate and baccalaureate degrees. Contact the Commission on Colleges at 1866 Southern Lane, Decatur, Georgia 30033-4097 or call (404) 679-4500 for questions about the accreditation of Florida SouthWestern State College. Normal inquiries about Florida SouthWestern State College, such as admission requirements, financial aid, educational programs, etc., should be addressed directly to Florida SouthWestern State College and not to the Commission's office. This catalog is for information only and does not constitute a contract between the applicant or student and the College. The programs, policies, requirements and regulations published in this Catalog are continually subject to review to serve the needs of the College's various constituencies and are subject to change as circumstances may require. 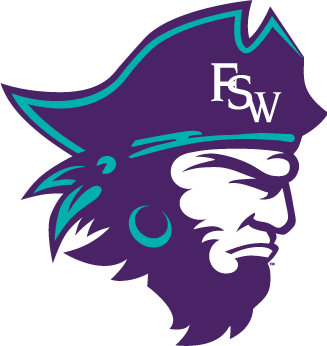 Changes are accessible through Florida SouthWestern State College's Web site: www.fsw.edu.